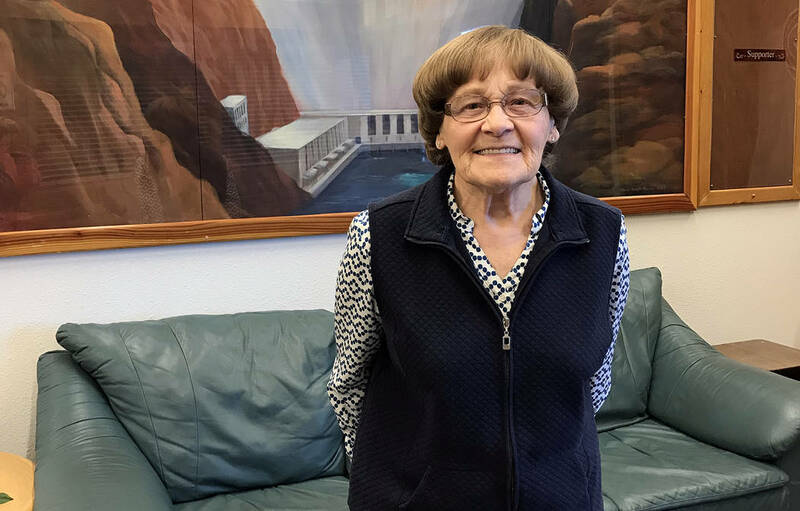 (Hali Bernstein Saylor/Boulder City Review) Teresa "May" Kahl is tireless in her efforts to help others, volunteering at the Boulder City Senior Center, Boulder City Hospital and Grace Community Church. She said she volunteers because she enjoys meeting people and helping them. A practical nurse before she retired, Kahl, 84, is a is a nurturer by nature. She raised eight children, a daughter with her first husband, John “Jack” Jones, who died of cancer after they had been married for 15 years, and seven children with her second husband, Nevitt Kahl, who died in 2002 after they had been married 42 years. She also has 24 grandchildren and seven great-grandchildren. As a volunteer, she donates her time and energy to the Senior Center of Boulder City, Boulder City Hospital and Grace Community Church. “I’m so happy and at peace because I’m out there doing things,” she said. Her love for Boulder City and its residents is evident in her attitude and echoed by those who know and work with her. Kahl moved to Boulder City six years ago to be closer to her oldest child, Teresa Jones, or T.J.
She also got a list of the city’s “oodles of churches” and happened to feel at home at the first one she visited, Boulder City’s oldest religious establishment, Grace Community Church. She began helping with the church’s annual fundraiser, the Country Store, and became co-chairwoman of the Circle meeting, a group for women. It didn’t take long for her to find other places to volunteer. Friends recruited Kahl to work in the gift shop at the hospital, which she did for years before moving over to the long-term care facility where she calls bingo and is on call for activities. When she checked last spring, she had volunteered 700 hours at the hospital. Kahl began volunteering at the senior center in March 2014 and joined the board as soon as there was an opening, serving from 2014 to 2017. Currently, she volunteers in the center’s dining room, averaging 50 hours a month serving lunch and coffee and cleaning tables. “May is such a sweet and awesome lady it’s difficult to sum up how much we love and appreciate her in a just few words,” said Sacha Huysentruyt, volunteer coordinator at the senior center. “May has an infectious smile that brightens up the room and, no matter what I am feeling or thinking, within minutes I am smiling, too. May is kind beyond measure and her genuine desire to help others is just a part of who she is. She does not even realize the impact she has on those around her. She is full of wisdom and funny stories, and is such a pleasure to be around,” added Victoria Mason, executive director of the senior center. Helping fellow senior citizens is her passion. The key, she said, is to listen and encourage them, aiding in their acceptance of whatever challenges life they face. “I always tell them ‘There’s always a place at the table for you’ at the senior center,” she said just days before having her second knee-replacement surgery. And if Kahl doesn’t have an answer for their problems, she said she will take people to the office at the center and find someone who can help. Prior to moving to Boulder City, Kahl volunteered near her home in Pennsylvania. She worked with the office on aging and was an ombudsman for residents of nursing homes. In addition to solving issues, one of her main goals was to get staff to treat the people living there as residents and not patients. “You have to respect them and their privacy,” she said, noting how staff would just walk into residents’ rooms without knocking. Her efforts also resulted in a state law being passed requiring facilities to provide at least one lockable drawer in every residence for people’s personal belongings. The law came about as she sought a solution for a World War II veteran who carried a pocket knife so he could peel his apples and cut up pieces of fruit. Staff wanted to confiscate the knife because they were concerned other residents could get a hold of it and hurt themselves or others. Kahl has received numerous accolades for her efforts in Pennsylvania and Boulder City. The senior center named her volunteer of the year in 2015 and she has been named volunteer of the month several times, most recently in October, Huysentruyt said. Boulder City Hospital named her the senior volunteer of the year in 2017, and in April she was Preceptor Sorority’s (Beta Sigma Phi) woman of the year. Hometown Heroes focuses on the people who make Boulder City a great place to live. 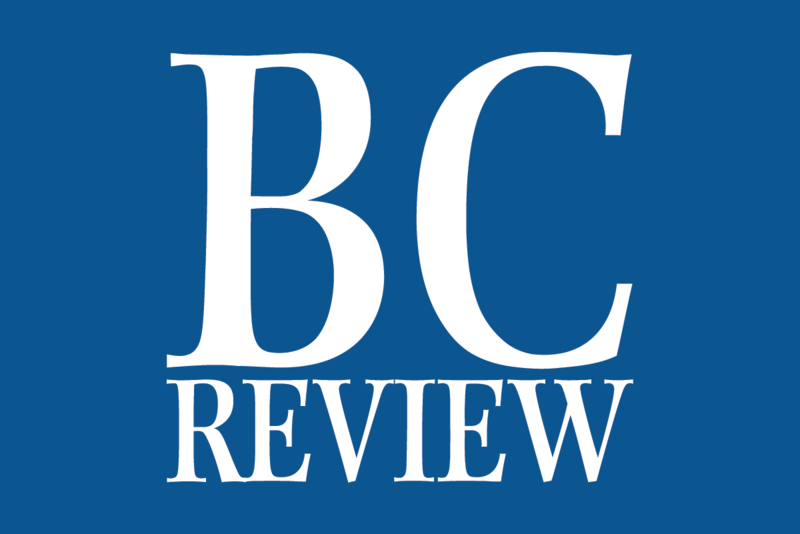 If you know of someone who deserves to be recognized, please send a short paragraph about why you feel this person should be honored, along with how to get in touch with him or her and your name and telephone number, to hsaylor@bouldercityreview.com.